Our reputed entity is engaged in supplying Tergotometer. 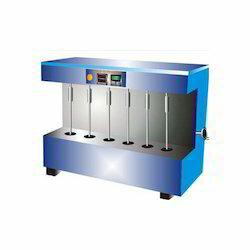 - For laboratory evaluation of soaps, detergents, dyestuffs, surfactants, cleaners for textiles and other materials. We hold expertise in offering the wide gamut of Tergotometer in the industry. The offered ranges are designed as per the varied customer requirements. 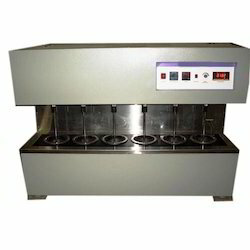 - The “Maharashtra Lab Equipments Tergotometer is a versatile laboratory scale multiple washing machine Which simulates the action of a domestic washing machine for testing of textile samples prior to any analysis for colour & detergent. We are amongst the most reputed names in the industry, offering Tergotometer. We are engaged in offering Tergotometer.